Does your old boiler require replacing? If so, get in touch with Combi-Nation today as we can supply the best boiler installation Southampton has seen. Whatever your requirements, our team can ensure an installation that is both quick and professional. At Combi-Nation, our company supplies Southampton boiler installation services that are second-to-none. There is nothing worse than dealing with a hot water supply that is unreliable and prone to not working. Fortunately, with the stellar services provided by Combi-Nation, you will have hot water and heating available at the push of a button. Combination boilers are among our best-selling products, and it’s easy to see why. This compact design requires no cold water storage cylinder or feed and expansion tank making it convenient for homes with limited space. Our boiler installation Southampton specialists can fit your combination boiler into any cupboard or even build one around it if necessary. If you are seeking a reliable and steadfast boiler that provides a constant supply of hot water without waiting around, a combination boiler is for you. Condensing boilers are, without a doubt, well worth the initial setup costs. As one of the most energy-efficient systems on the market, these are fantastic for homeowners who wish to reduce their monthly bills. This is due to how the unit captures a percentage of the heat that would otherwise escape via the flue and re-uses it. As a result, you will get more heat from the same amount of fuel. When you hire Combi-Nation, our skilled Southampton boiler installation team will conduct a full survey to ascertain the best place to position your flue. From there we will see to it that all installations are carried out in full compliance with British industry standards. Best of all, we also offer a fantastic five year warranty on all entry level products or seven years for our flagship models with the option for extended warranties available. 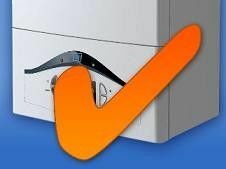 Why choose Combi-Nation for boiler installation Southampton? When it comes to providing the best boiler installation in Southampton, it pays to hire a company like Combi-Nation. As a Broag and Worcester approved installer, we are at the forefront of supplying state-of-the-art technology to our customers. Based in Southampton, our Gas Safe registered boiler installation team has been trained to a high standard so you can be assured of the best service around. Our philosophy is simple – to pride ourselves on quality. To that end, we will never consider a job completed until it has been finished to our high standards of excellence. As such, you can derive peace of mind in the knowledge that we will never cut corners. Get in contact with Combi-Nation today on 023 8077 5666 and book the finest boiler installation Southampton has to offer.